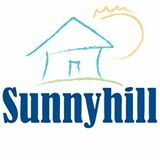 Sunnyhill provides tailored residential support to individuals with developmental disabilities in a variety of different settings. Our residential services range from support a few hours a week to 24 hours a day. Sunnyhill is a not-for-profit organization established in 1978 that provides residential support, recreation and educational opportunities for individuals with developmental and other disabilities throughout the Greater St. Louis Area and surrounding counties. Residential services are community based and promote an individual’s dreams and independence. Accessible recreation opportunities are available at our 65 acre adventure camp in Jefferson County or through our On the Road Adventures program. Our Mission Sunnyhill, Inc. provides tailored residential, recreational and educational opportunities for children and adults with developmental disabilities. In partnership with community and natural supports, Sunnyhill empowers individuals to become productive citizens and achieve their individual dreams.